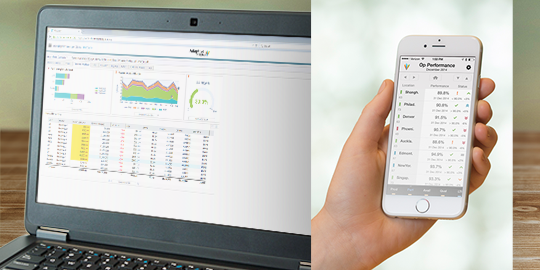 Seemlessly integrate analytics and dashboards into your FP&A processes. 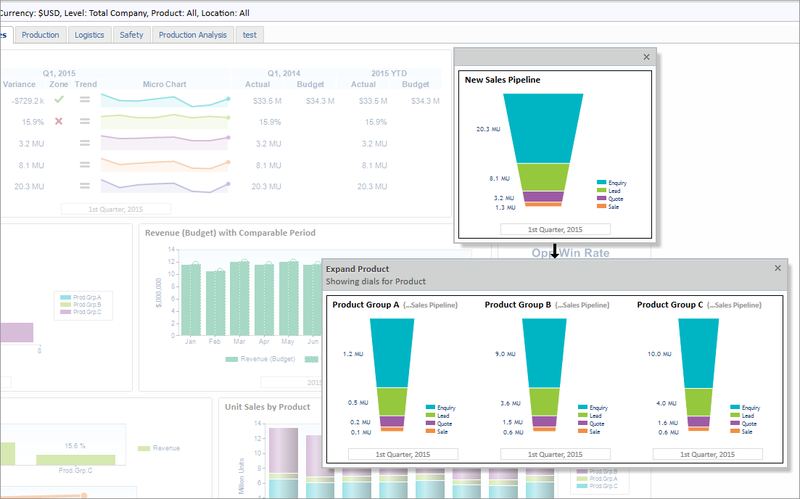 Spot issues at a glance with data visualization that includes funnel, dial, waterfall, bubble, histogram, radar, and Pareto charts, as well as standard bar, column, gauge, area, and doughnut charts. Scorecards deliver instant variances from budget and forecast, with financial intelligence built in. A built-in metrics catalog centralizes financial and operational business metrics in categories and folders, so everyone makes decisions on the same KPIs. Share insights, notes, and narratives across the team. And of course, all metrics are based on the same cloud data foundation that integrates data across sources and systems. 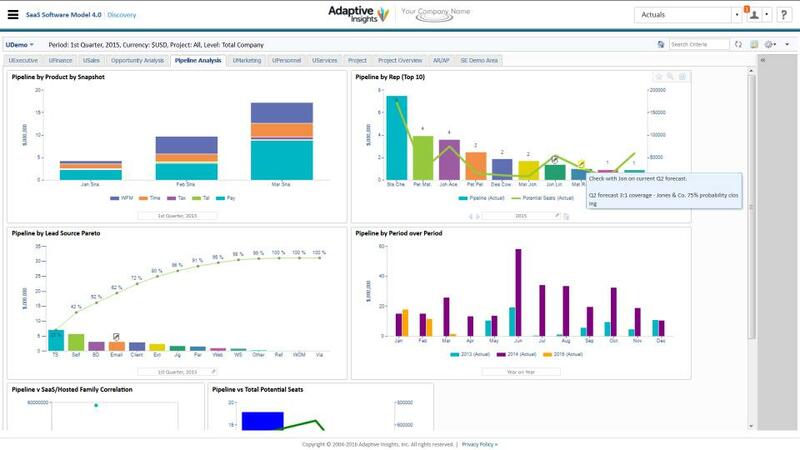 With our introductory solution, Adaptive Discovery Professional, you can monitor financial performance with dashboards that visualize Adaptive Planning and Adaptive Consolidation data. 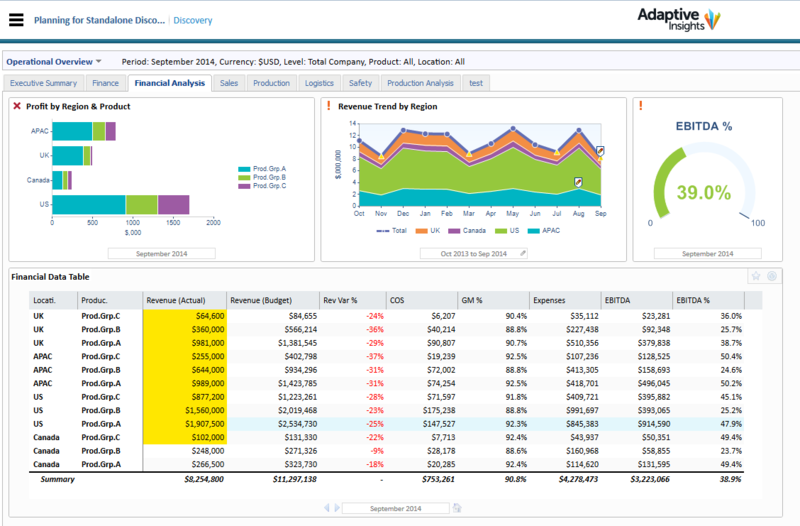 Expand to add operational data directly from your ERP, CRM, or HCM systems with Adaptive Discovery Enterprise. Direct click-not-code integration with common sources like Salesforce.com accelerates analysis. By sharing a common data platform in the Adaptive Suite, Adaptive Discovery lets you pivot immediately from analyzing performance to re-planning and re-forecasting. Drill down from visual metrics to the related planning sheets to test out new assumptions and see their impact in real-time on your forecasts, or drill further down to transactional details.